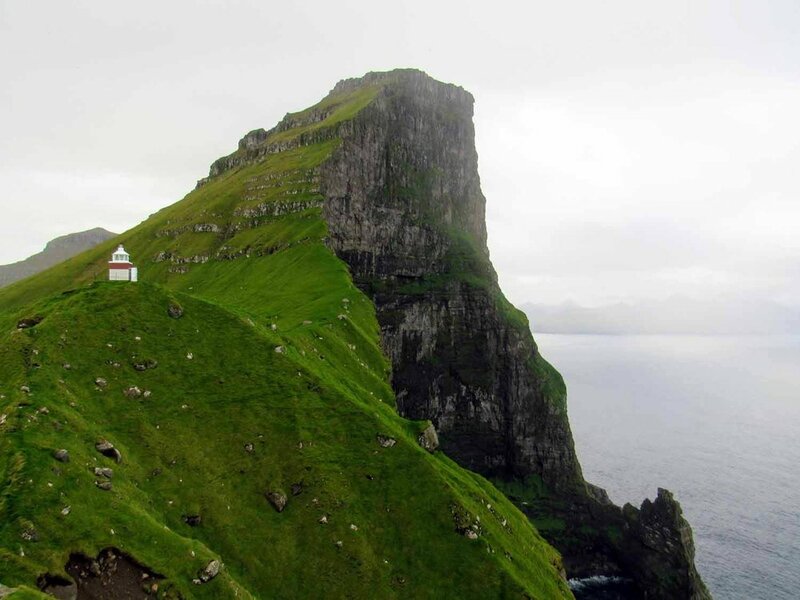 Kalsoy is located between Eysturoy and Kunoy in the north east of the Faroe Islands. The name “Kalsoy” means “Man Island”, and it’s neighboring island, Kunoy, means “Woman Island”. We caught the first ferry of the day from Klaksvik, Bordoy to Syðradalur, Kalsoy. From there we took the one road one the island (yes, there is only one road) to the edge of the island, checking out the towns of Mikladalur and Trøllanes along the way. There isn't much to see in either town, but it's worth a few minutes to stop and check out the quaint architecture and picturesque settings. Kalsoy was one of our favorite stops in the Faroes because of our hike to the Kallur lighthouse, and the breathtaking scenery. More details below! Drive to the end of the Island (literally the end of the only road on the Island). Park near the base of the hill on the North/West side of town (don't block farm access). Walk down the dirt road until you see a gate along in the fence - go through the gate and up the hill. Be aware that there is no distinct trail to the lighthouse- just make your way up and around the hill-the one way distance is about 1km/0.7m. WARNING: The saddle trail from the lighthouse to the small point at the tip of the island is very narrow with vertical exposure on each side and can be extremely slippery. We captured some of our best pictures here, but due to the dangerous conditions, we can't encourage everyone to do the same. 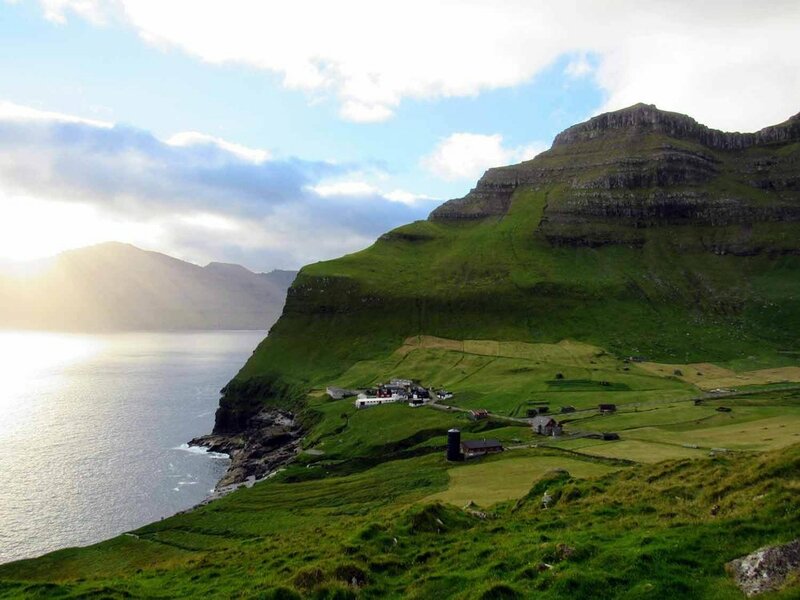 With a whopping population of 38 (in 2009), Mikladalur is the largest of the four villages on Kalsoy and is best known for it's legend of the selkie/sealwoman. According to legend, Selkies appear as seals in the ocean but shed their skin to become human on land. Traditional stories tell of female Selkies becoming forced wives when a human fisherman steals and hides their sealskin preventing them from returning to the ocean. Often after many years the wife discovers her sealskin and abandons her human husband and children to return to the sea. The Klaksvík - Syðradalur ferry allows you to ride as a passanger with or without a vehicle. We took the first ferry of the morning and stayed until early afternoon, having to catch the ferry back to Klaksvik, but wishing we could stay longer.